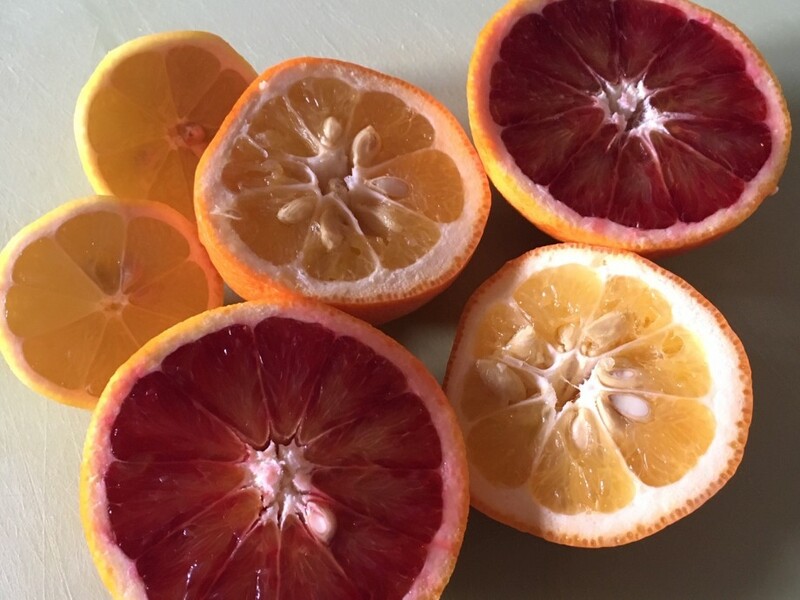 This is an old favourite, based on the Margaret Costa Lemon Surprise Pudding, but I mix up the fruit, adding blood oranges and the juice of a Seville orange for a bitter hit that the pretty blood oranges lack. When both those oranges are out of season you can revert to bog standard oranges and use an extra lemon in place of the Seville orange. 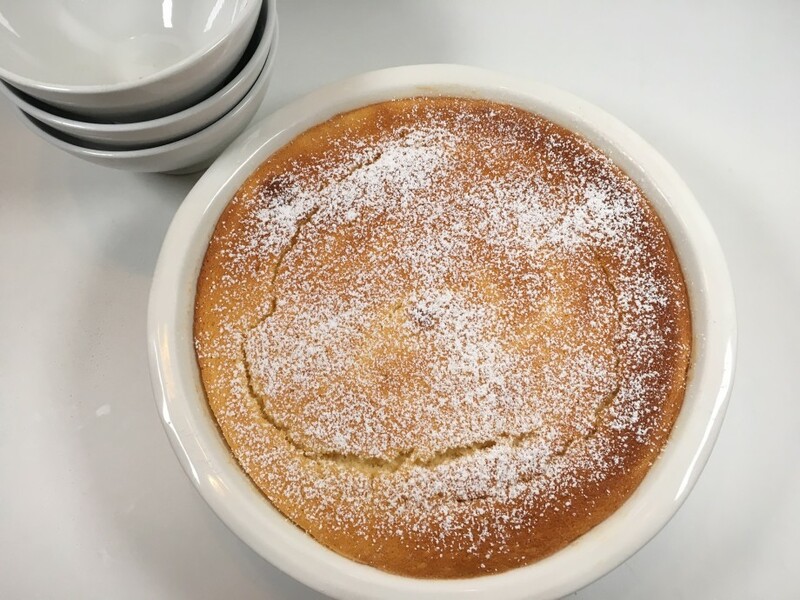 This is a lovely, crowd-pleasing pudding which is light enough to serve at the end of a heavy dinner but for me, it’s the perfect pud for Sunday lunch. Heat the oven to 180˚c, fan oven 160˚, mark 4. Butter a 2 litre ovenproof dish. Put the softened butter, sugar and grated zests in a mixing bowl and beat until light and fluffy. Beat in the egg yolks followed by the flour. Carefully and slowly beat in the citrus juice followed by the milk. The batter will be very thin and slightly curdled but don’t worry. In a clean wide mixing bowl beat the egg white to stiff peaks and carefully fold into the batter. Pour into the prepared dish and place this in a deep roasting tin. Pour in enough cold water to come halfway up the side of the dish. Bake in the oven for 40-45 minutes until the pudding is golden and firm. 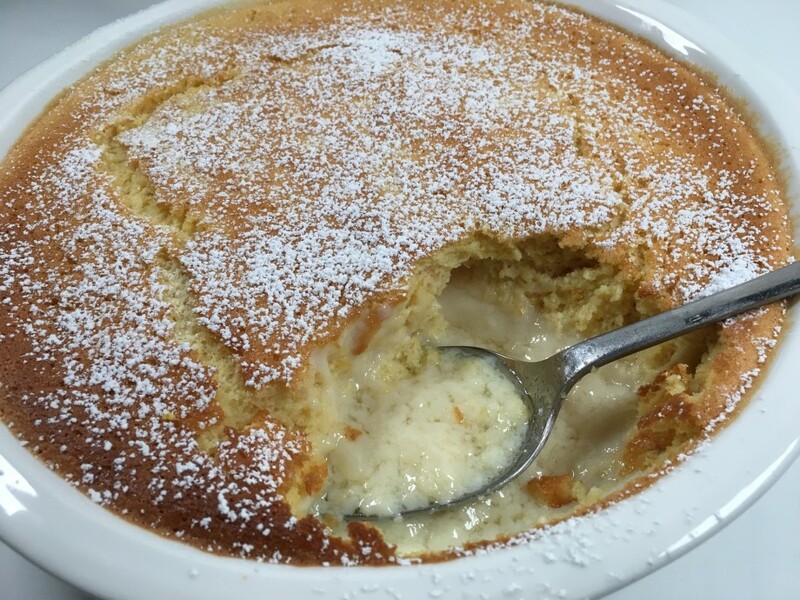 Dust with icing sugar and serve with cold double cream or a scoop of crème fraiche.